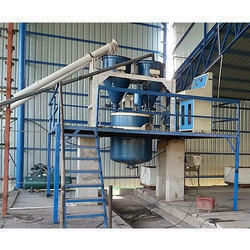 Pioneers in the industry, we offer fully automatic aac block plant from India. Brickvision Equipment manufacture best quality Fully Automatic AAC Block Plant on very convenient costs. Using the latest technology and hi-tech machinery we provide the best efficiency and time-saving systems in our plants. The system is totally electronic based so as to make it cost saving, time saving and efficient as well. Machinery: pre-mixer, slurry pump, screw conveyor, batching system, micro feeder, plc based control panel, mixer, shifter, track, trolley, cutting machine, boiler, autoclave mad manny more machinery loaded with full technology.